5 Star™ Office is a competitive range of office stationery. 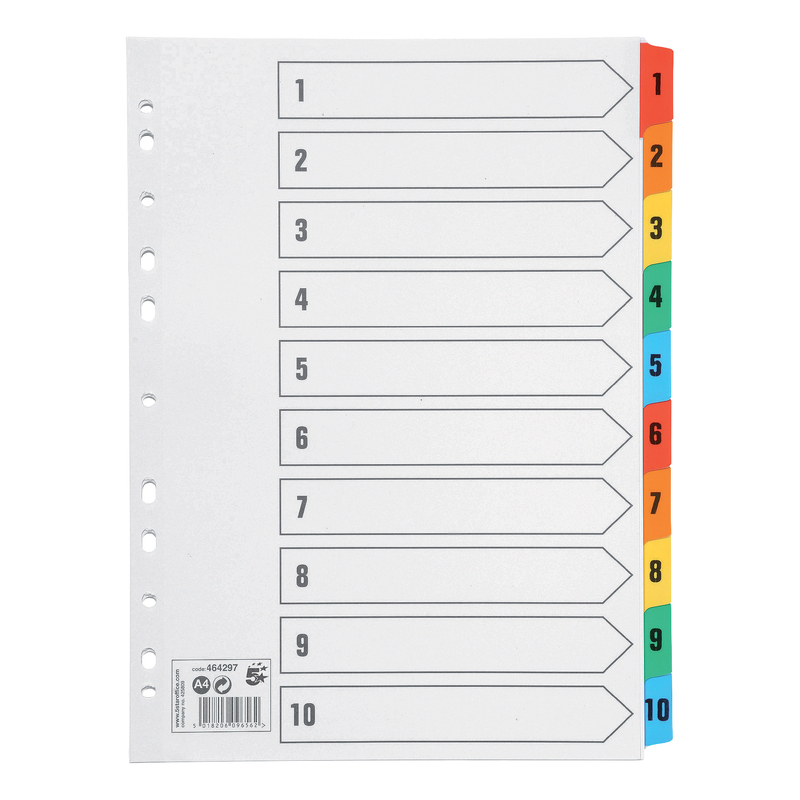 These 1-10 file dividers are a high quality option made with 10 Mylar reinforced numeric tabs (1-10) for extra durability. The brightly coloured tabs help separate sheets and documents. 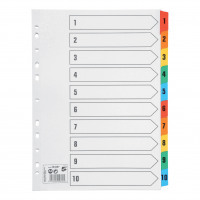 File dividers are a convenient way of keeping track of your documents when you have them stored in folders. Our 5 Star™ Office A4 file dividers are extra strong due to the Mylar reinforcement and have labelled tabs from 1-10 for organisation. Suitable for all A4 lever arch files and ring binder folders and available as a set of 10 dividers.